The Department of Housing, Planning and Local Government needs to urgently review its homelessness data collection and analysis capabilities. “The lack of reliable data, from construction generally to social housing to homelessness, is unacceptable and provides a poor base for policy-making,” stated Social Justice Ireland (SJI). It called on the department to develop “an accurate and transparent data reporting system for use by Local Authorities” which would ensure consistency across all areas. The call came as the department stated it found a “classification error” in advance of the publication of the March 2018 homeless figures, which meant that the reported number of people accessing emergency accommodation remained below 10,000. 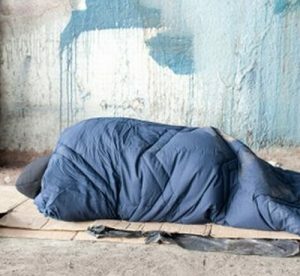 Mr Eoghan Murphy, Minister for Housing, Planning and Local Government, said in a statement that in the preparation of the March homeless figures “significant mis-categorisations have been discovered, which have overstated the total number of people that are in emergency accommodation in the State today”. He explained that some local authorities mistakenly categorised individuals and families living in local authority owned or leased housing stock, and private rentals in receipt of social housing supports, as being in emergency accommodation. To date, at least 600 individuals have been identified as having been categorised as homeless and in emergency accommodation when they are not. “Some, but not all of these individuals have been removed from the total numbers, but work continues with Local Authorities to gauge the total extent of the issue,” the Minister stated. He acknowledged that the current reporting model needs to be reformed in order to properly understand the extent and nature of the problem, and inform policy decisions. SJI wants to know the exact number of individuals removed from the homeless figures, or the “some but not all” of the 600 that the Minister stated had been removed. Both the Peter McVerry Trust and Focus Ireland gave a cautious welcome to the figures published on 30 April 2018, which show that 9,681 people were accessing homeless services in March 2018, a slight decrease from 9,807 in February 2018. “We welcome this small but important decrease,” said Pat Doyle, CEO of Peter McVerry Trust. “The first two months of the year saw a rapid rise in numbers accessing homeless accommodation, and we are very glad to see a drop-off in March.” He called for the provision of more one- and two-bed housing units and for the Department of Housing to ensure that all household sizes and types are provided for. 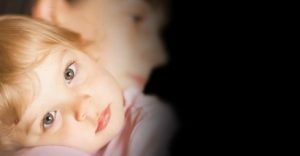 Focus Ireland welcomed the 1 per cent drop in family homelessness, but the charity warned that the overall trend shows a 37 per cent rise in family homelessness in the past year and claims the government strategy is failing to tackle the issue despite some good news. Focus Ireland pointed out that family homelessness figures rose from 1,256 families in March 2017 to 1,720 last month. There was also what the charity called “a shocking 42% increase” in the number of children who are homeless, from 2,563 to 3,646 during the same period. “While we don’t want to be negative we do have a duty to be realistic and draw attention to the fact that the overall figures show that there was a rise in the numbers of families homeless last year,” said Mike Allen, Director of Focus Ireland Advocacy.